For fair weather hikers, the idea of a winter backcountry adventure can be intimidating, if not entirely unappealing. Who really *wants *to be cold, wet, and miserable? But here’s the secret: When you go equipped with the right gear and expertise, you don’t have to be. In fact, when you come prepared, winter can turn the wilderness into a veritable wonderland that offers an increasingly rare immersion into calm, quiet, and solitude. 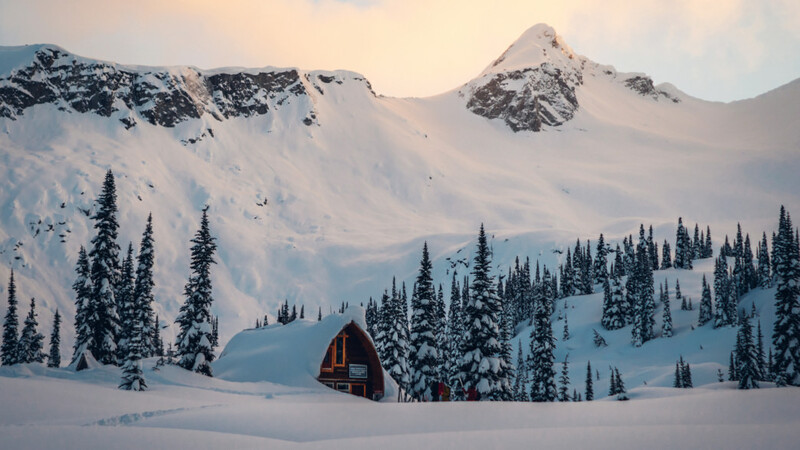 To help you out, we put together a guide for getting ready for a winter full of backcountry adventures. The first thing you’ll need to consider before your trip is how you want to explore the snowy landscapes. If you are sticking to well-traveled routes where the snow has been packed down, you might be able to get away with just waterproof hiking boots, but generally speaking traveling through the winter backcountry requires some extra footgear. 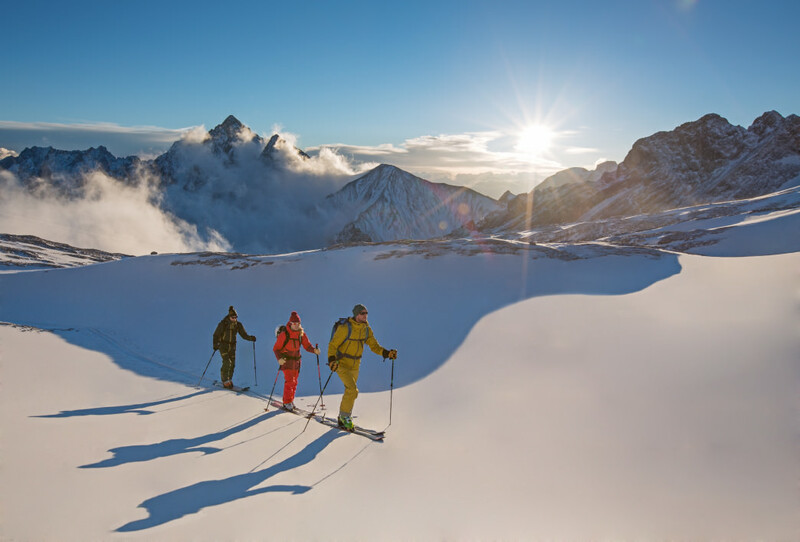 Depending on the terrain and conditions, you might need snowshoes, skis, a splitboard, and/or crampons. Winter in the backcountry requires some additional know-how beyond your basic camping skills in order to stay safe. Avalanche awareness is critical, and at a bare minimum, you should know where to look up current conditions, be able to tell when you are in terrain in which avalanches could happen, and recognize red flags, such as signs of recent avalanches. Generally speaking, avalanches typically happen on slopes between 30 and 45 degrees, so if you’re traveling on snowshoes, you’re probably less likely to find yourself in avalanche prone terrain. 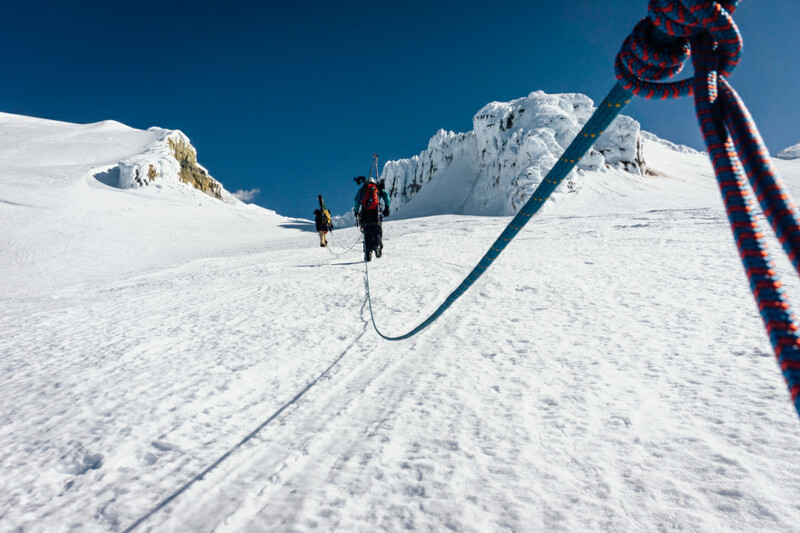 But if you are backcountry skiing or splitboarding, you should have formal avalanche training before you go. Navigation can also become trickier in the winter: fresh snow can cover your tracks, and whiteouts can sometimes leave you wondering which way is up or down. This means that winter in the backcountry requires having a solid handle on using a map, compass, and GPS. Staying warm and dry is crucial to having a good winter trip. There are two big rules for choosing the best attire to do this: layer up, and avoid cotton. Since cotton will soak up moisture and sweat which will then potentially freeze before it dries out, you want to go for breathable, non-cotton fabrics like polyester, wool, or GORE-TEX®. A good layering system looks something like this: a long underwear/base layer, a mid-weight insulating layer (fleece works well), and a warm puffy jacket. Something like a Marmot Featherless Jacket will definitely do the trick. It’s filled with 3M™ Thinsulate™ Featherless insulation that will feel like a 700-fill down, but doesn’t get heavy when it’s wet like regular down does. Add a waterproof shell layer and you’ll be set for any winter adventure. Once you’re out in the woods, continuously adjust your layers throughout the day. 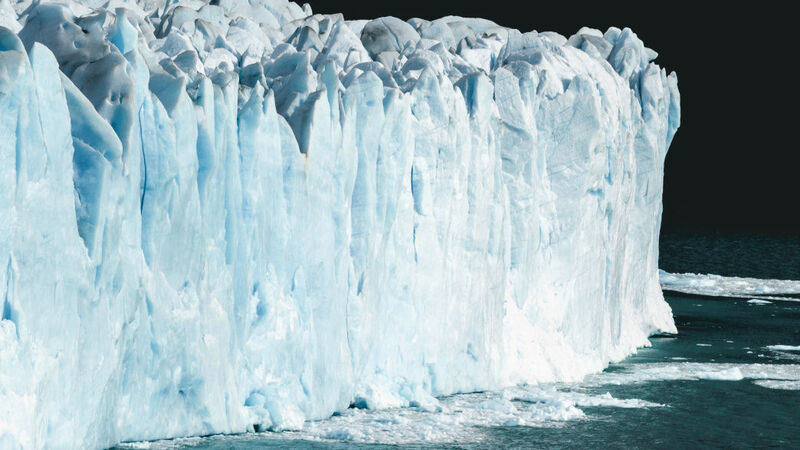 Get into the habit of anticipating the right layers before you get too cold or too hot. For example, take a layer off before you start moving again so you don’t sweat too much, and then put another layer on as soon as you stop for a break, before you start to get cold. 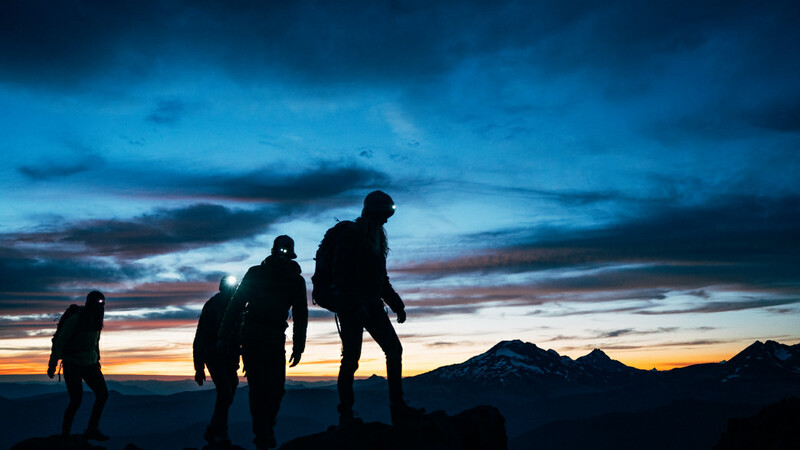 There are also a few essential accessories that you’ll want to always have near the top of your pack, including gloves (both a lightweight and heavier waterproof pair), goggles in case it gets stormy, a warm hat, a sun hat, and sunglasses (the winter sun can be very intense when it bounces off of the snow!). Nothing ruins a trip like being too cold at night, which means getting a good, warm sleeping bag is a must. Down bags are usually lighter and pack down smaller, while a synthetic bag will be cheaper and work better in the event that it gets wet (but you should avoid getting your sleeping bag wet in the first place). Whichever kind you choose, your sleeping bag should be rated for the coldest temperature you could possibly encounter. Sleeping pads are also important to staying warm because they provide insulation: either get a pad specifically designed for winter use or double up with both a foam and an inflatable pad. And, of course, you’ll want to have a solid shelter. A four-season tent will protect you from wind and snow outside. Building a snow cave scores you lots of style points (and is a good skill to have in case of an emergency). Your feet will thank you if you bring a pair of down boots for walking around camp. Always keep a pair of socks dry to slip on at night. Sleep with your cell phone and other essential electronics in your sleeping bag to help the batteries last longer in the cold (and it’s a good idea to keep them in a pocket close to your body during the day, as well). If you wear contact lenses, you’ll also want to sleep with your case close to you—if the temperature dips low enough, the solution will freeze! Filling a Nalgene with hot water and cuddling with it will keep you warmer, and you’ll appreciate having a pee bottle (and funnel, for the ladies) close by. Just, uh, don’t get the bottles confused. Being able to make a fire is one of the most important parts of a winter backcountry trip, which makes your stove is one of your most vital pieces of gear. Liquid fuel stoves tend to work better than canister stoves when it’s cold out. Make sure that your stove works properly before you go, and to bring plenty of fuel for the trip—you’ll need much more fuel than you would for summer trips since you might also be using it to melt snow into drinking or cooking water. Cooking in the snow and wind can be a challenge. If you’re going to stay at the same camp for more than a night, it’s worth putting the time in to dig a cooking shelter (bring an extra tarp that you can use as the shelter’s roof). 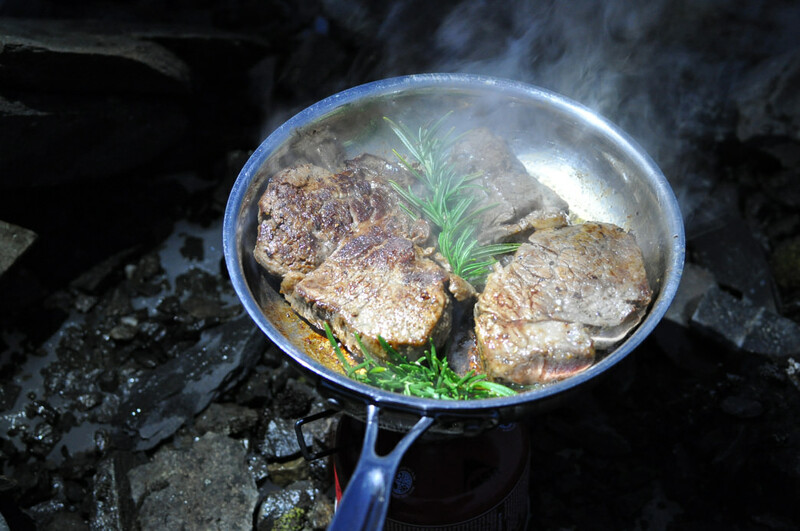 Remember that food can freeze, so you might want to keep the next day’s breakfast in the tent with you overnight. Last but not least, make sure to hydrate and to eat a lot - being in the cold all day and night burns up a lot of calories! 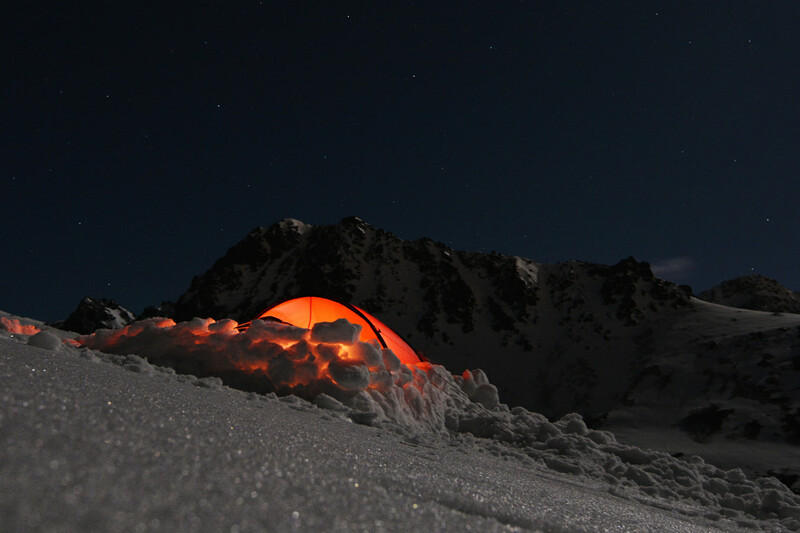 Winter camping often means more downtime than it would during the warmer seasons. 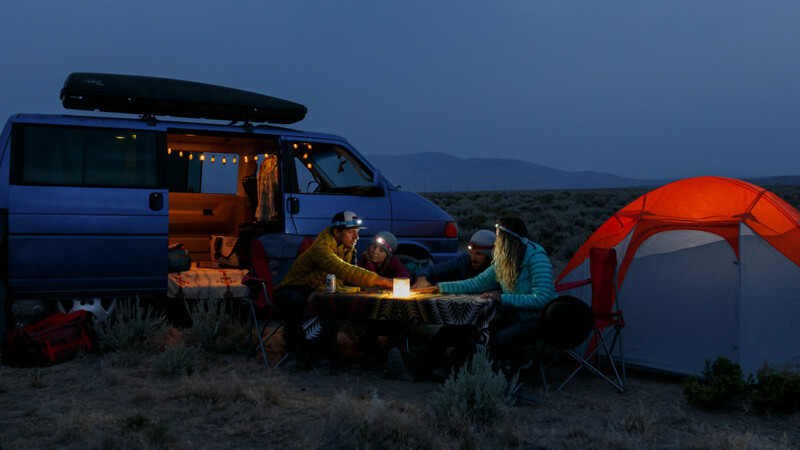 The days are much shorter, which means more time in the tent, and if you get stuck in a storm… well, that could mean even more time in the tent. So remember to protect your sanity by bringing some entertainment along. Magazines weigh less than books and more easily shared between tent mates. And a deck of cards can bring hours of fun—especially when they’re dealt with a splash of whiskey. With a little preparation and the right gear, any trip can become an adventure you’ll never forget (in a good way). And who knows? You might even end up with a new favorite season.